Whenever we go to PF Changs, the lettuce wraps are a must order. Unfortunately, it isn't very often considering the nearest location is over 2 hours away and I won't even tell you how much our bill was last time we took the whole fam! Thank goodness for copy cat recipes and friends who text you said recipes. 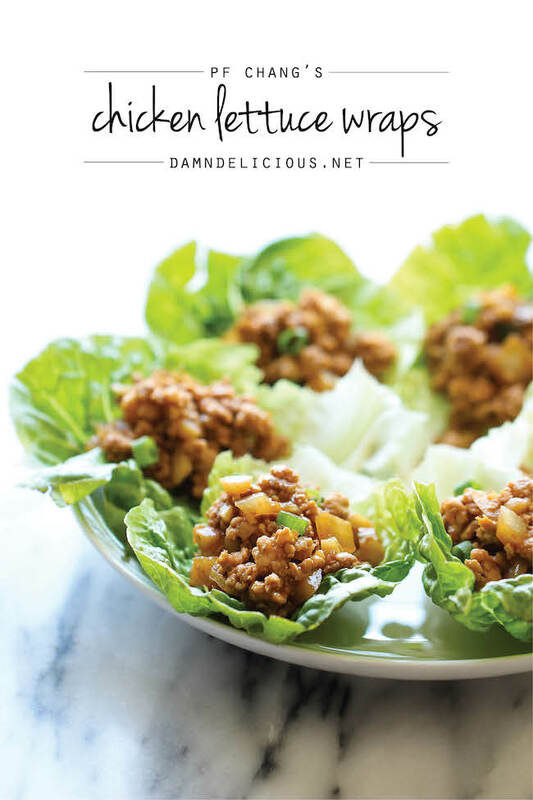 Obviously I wasn't doing a side by side comparison, but these lettuce wraps were every bit as good as the original. I easily found all of the ingredients in my local grocery store, except the ground chicken. It was late at night and I didn't want to go to another store so I settled for ground turkey. It was so good I honestly don't know if I will even try the ground chicken next time. I served it with some steamed edamame and fresh pineapple. I also made a big pot of jasmine rice to go with it because I can't do no carb. For a quick weeknight meal that's delicious and healthy, this meal is hard to beat. Cook's note: Make sure you get butter lettuce. Sorry people, ice burg just won't cut it here. Because weekday mornings tend to be pretty crazy with kids and adults heading in a million different directions, we usually keep breakfast pretty simple. Most mornings consist of quick and easy to prepare items like smoothies, oatmeal, or cold cereal with fruit. If my kids are really lucky, I'll whip up a quick batch of scrambled eggs and some toast. Because of various sports and activities, we're often rushing out the door on Saturdays sometimes as early as 7 a.m., so on Sundays I insist on having a hot, delicious breakfast. Nine times out of ten it's these yummy waffles, but I like to change it up every once in awhile with pancakes, muffins, monkey bread or french toast. Enter the french toast roll up-- A fun twist on traditional french toast and not much harder to make either. My kids had fun flattening out the bread with the rolling pin while I experimented with the fillings. We tried pb & j, strawberry jam and cream cheese, and Nutella with the overall favorites being the latter two. My personal favorite was plain cream cheese. Think churro with a cream cheese center. With the delicious fillings and even better cinnamon and sugar coating, these are fabulous on their own, but equally delicious dunked in warm, maple syrup. Place about a teaspoon or 2 of your chosen filling an inch from one end of the bread spread out in a strip. Roll the bread up and repeat until they're all filled. (Be sure not to overfill). I hate to admit it, but while my friends and neighbors are starting off the new year resolving to eat healthier and exercise more, I actually quit the gym and made a resolution to make MORE cookies. To be completely honest, I run a few times a week and started doing these awesome body pump videos, but I just couldn't fit the 15 minute drive to the gym in my schedule anymore. As I'm writing this I realize how ridiculous that sounds, but with the crazy life I've got going on right now that 30 minutes is like gold. I love baking, however, when I started school last year it was one of the first things to go. This year I've adjusted a little bit and realized I need to do things for myself and not just study 24/7. I got back into my running regime, starting baking and cooking more, and trying to squeeze in as much time as I can with my family. I also made an extremely tough decision and changed my major from Physical Therapy to English. Just in the first semester it has been so rewarding. I have always loved reading and now I get to curl up every night with some amazing literature and call it homework! Of course having a few cookies while I read just sweetens the deal. Hence the resolution to make more cookies. Not only do I love baking and eating cookies, I love sharing them. Having a plate ready when the kids get home from school, taking them to neighbors, or just sharing with someone who's having a bad day makes me happy too. ( I don't know many people who can frown while eating a cookie.) Ultimately, that's what my resolution is all about--enjoying my life and helping others to enjoy life too. Let's face it. Cookies make life better. 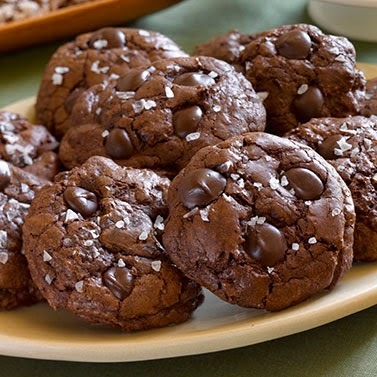 Reminiscent of these chocolate cookies, these salted truffle cookies are everything their names implies. Rich, intensely chocolate, and just a smidge salty. And while the centers are slightly soft and deliciously fudgy, the outsides are firm and slightly crackly. Pure heaven with a cold glass of milk and a good book. In a heatproof bowl over a double boiler, melt bittersweet chocolate chips and butter until smooth. Turn off the stove and let chocolate sit over warm water. Combine flour, baking powder and salt and mix to combine. In another bowl, mix together sugar and eggs, combine thoroughly with a whisk and slowly add the warm chocolate mixture. Stir to combine. Add vanilla extract and mix. Stir in flour mixture. Cool for a few minutes (if batter is warm, chocolate chips will melt). Stir in mini chocolate chips. Chill for 10-15 minutes. Pre-heat oven to 350°F. Scoop rounded tablespoons of batter and place on baking tray. Sprinkle each cookie lightly with a pinch of sea salt. Bake at 350 degrees for approximately 7-8 minutes until the outside looks slightly cracked. Be very careful not to over bake cookies because they will continue to bake as they cool once removed from the oven. Cookies should be soft and gooey in the center. 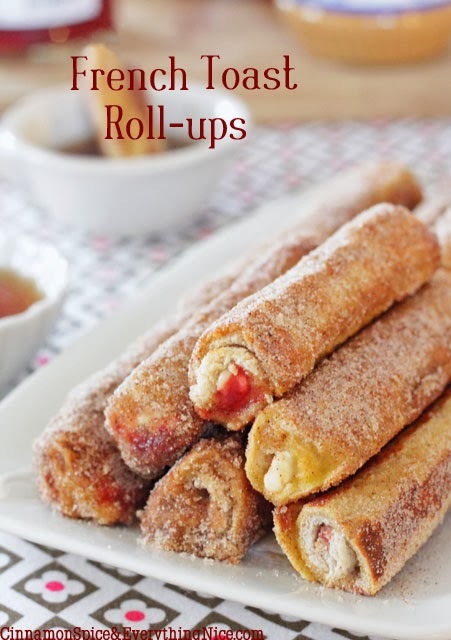 Found on a blog I visit regularly, these taco roll ups are the latest and greatest hit at our house. As is often the case, I had made a double batch of this delicious taco meat and wanted to use it up. But as you well know, the same old thing week after week can get a little boring. These babies were just the ticket. 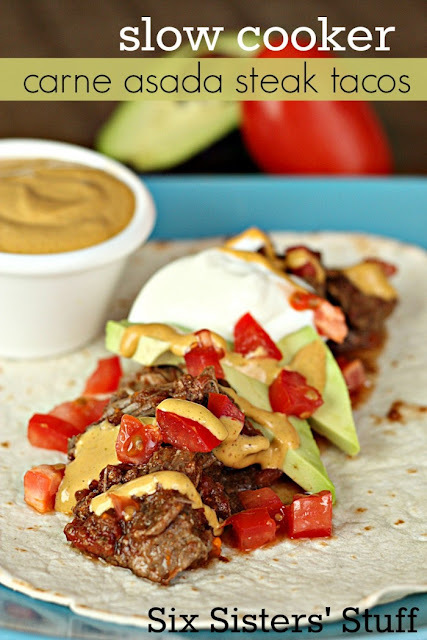 I tweaked them to use up my leftover taco meat and save myself a little time. The reaction they got was shocking. Similar to a taquito, these taco roll ups were simple and downright tasty. We served ours with traditional taco fillings on the side: lettuce, tomatoes, salsa, guacamole, sour cream and gasp....ketchup. (I know it's gross, but my kids love ketchup with Mexican food.) I used medium sized tortillas and ended up with close to 18 roll ups, which I planned on freezing for another meal. By the next evening, there was only 1 left. I can't wait to try the original version (found here) next time. Preheat the oven to 400 degrees.Prepare taco meat as directed. Spoon about 3 tablespoons of the taco meat mixture onto a tortilla. Sprinkle with about a tablespoon of cheese. Roll up as you would a taquito, not filling the tortilla too full, but rolling fairly tight, so the tortilla will not come undone easily. Place filled tortillas in a single layer onto a lightly greased baking sheet, seam side down. (I sprayed mine lightly with cooking spray to add some crunch and prevent over drying). Bake at 400 degrees for about 12-15 minutes or until the cheese has melted and the tacos are heated through. Remove from the oven and serve with optional condiments. Makes about 12-15 medium tacos.-Heat up leftovers wrapped in a paper towel for about 1 minute in microwave. 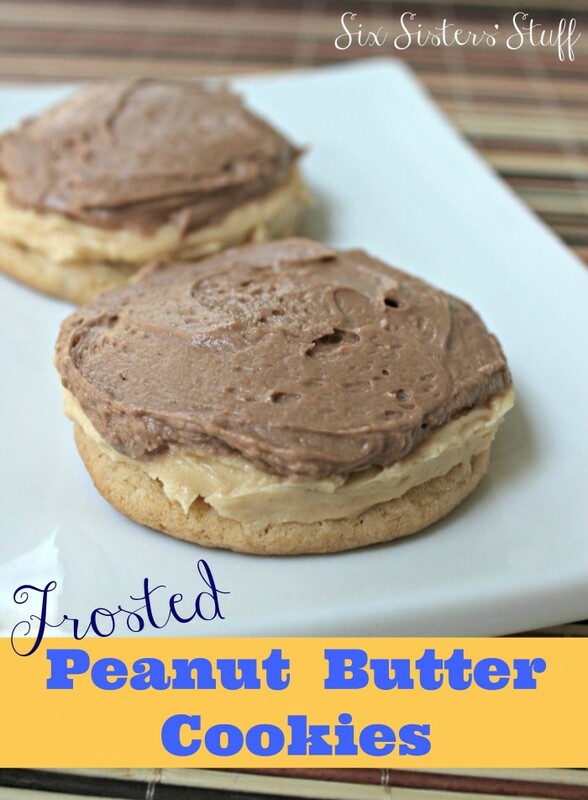 A little gem I found on Pinterest, these cookies were to die for! We're die-hard peanut butter & chocolate fans around here and these cookies lived up to all of our expectations. The cookies themselves are perfectly moist and chewy, and I love the addition of peanut butter chips.The final touch of not one, but two layers of frosting takes these cookies from so-so to irresistible. Just be sure to have plenty of butter on hand! Not only do these cookies taste amazing, mine turned out beautifully exactly like the picture.The small amount of time it takes to whip up two batches of frosting, is well worth the WOW factor it creates. This delicious chocolate cake has become a birthday staple at our house. The first time I made it, my family wholeheartedly agreed it was pretty much the best chocolate cake ever. The magical frosting is amazing too, but after a birthday request for chocolate cake with chocolate frosting, the chocolate/chocolate combo has become my most requested cake. It's really simple to make and dare I say fool proof? All the ingredients are added to the food processor and after a few pulses you're done! The most important step is to make sure you let your melted chocolate cool, or else you'll end up with really runny frosting. 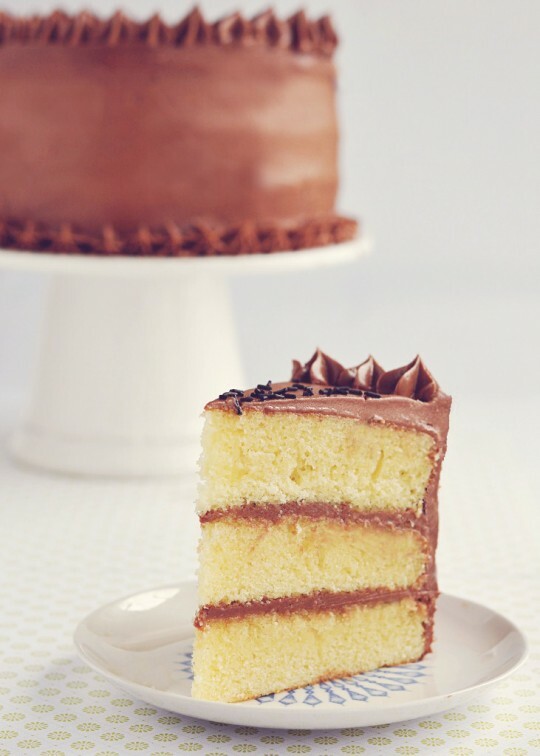 The result is a rich, silky smooth, chocolate frosting. After serving it to my teenage son's friends, they were all begging me to send their Mom's the recipe. Really? Teenage boys asking for recipes? Yeah, it's that good.